As you read in my last post about guitars, I love anything that has to do with music and sharing information here on my blog for resources is a pleasure for me to do. 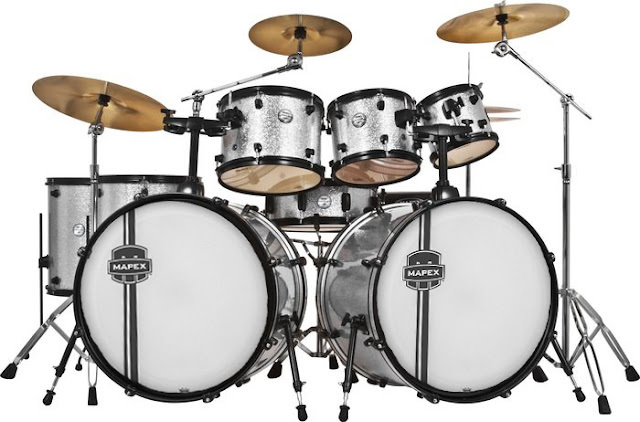 If you play the cymbals and the drums, you are probably already familiar with and have at one time or another needed an X-hat attachment for double bass. Now I will admit this is not my area of expertise, so I had to do a little research to see how this all works, lol. By clicking on the link you will find a great site in which to order your X-hat attachment. This particular item is getting some good reviews on Musician's Friend website, so if you can go check them out! If this is something you are familiar with or you have your own band, I would love to hear your thoughts! If you have recordings of your own videos of music send them to my email ( found on my sidebar) and I would be happy to share them in a future post. :-) For now here's one I randomly found on YouTube! Have a great weekend! Visit Jill's profile on Pinterest. Click on the picture to connect! Welcome! I'm a stay at home mom with a degree in education. I love to share teaching ideas, recipes, crafts, how to sessions, reviews, do giveaways and more! I enjoy meeting new people! :-) My family is everything to me and want to leave behind a piece of our lives for future generations to come. Thanks for stopping by and following along!